We are constantly on the move, each and every day. Continuously looking for the ultimate solution, the best cooperation, even more knowledge, and the right focus. The essence of who we are and what motivates us, is in our core values. 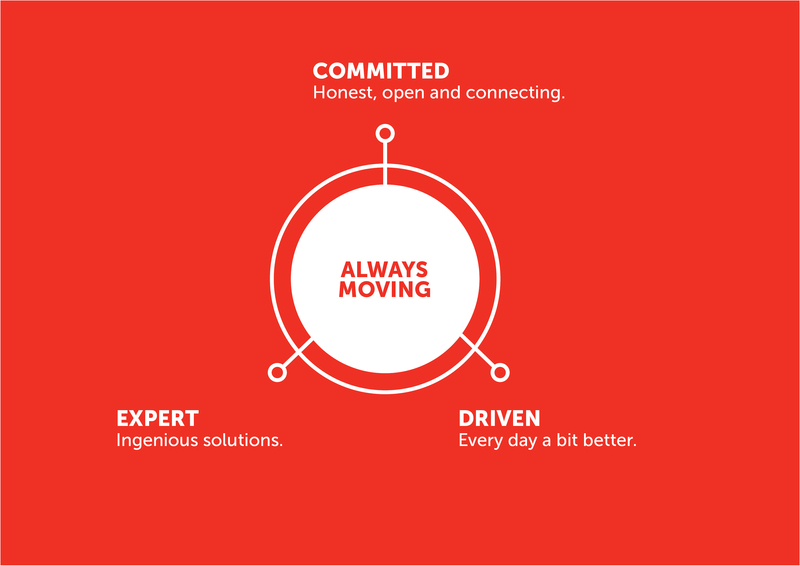 These values help us to fulfil our mission. Bringing out the best in each other based on commitment. Our method of operation is pro-active, open, and connecting. We achieve success together with our clients, partners, and colleagues..
A bit better each day. Always offering the best, the smartest – in short: the most ingenious – is in our DNA. We are continuously looking for ways to improve the added value of our services. Our added value is to find the question behind the question. Our knowledge and expertise enable us to offer ingenious solutions for our client’s challenges.